Would you like to gain insight into love, career, and money matters? The Tarot is the world's best known and most requested oracle; a reading can light your way, help you make the right choice, and end confusion. I have been a professional tarot reader for sixteen years. During that time I have gained a reputation for accuracy, integrity, detail, and for the gentle and often humorous nature of my readings. The tarot is the best loved oracle in the world, and there is a good reason for that: it tells the truth. The tarot can answer any question you may have. 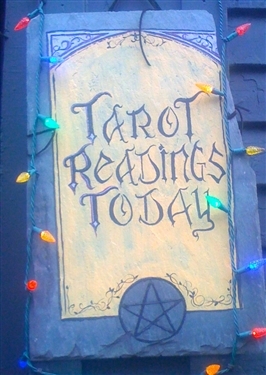 Why not invest in yourself with a tarot reading today? Really honed in right away and gave a lot of information. Much appreciated!! Pretty judgemental. Did not pick up soul connection. My name is Kathy. 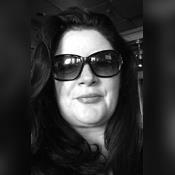 I have been a professional tarot reader for sixteen years and I have studied the tarot since 1992. I am still amazed, on a daily basis, at the cards' ability to convey truth, humor, and comfort. The tarot has evolved over time to reflect the entire complexity of life and is well-suited to answer any question. Here are a few questions you may want to ask. What is the current status of my relationship? Will I achieve more financial success this year? Am I appreciated at my current job/is there a better job opportunity out there for me? What is my purpose for being on this planet at this time? A great tarot reading should be fun, interactive, and offer many details. I have built my professional reputation over the last fifteen years on the compassionate and humorous nature of my readings, but most of all on my level of accuracy and detail. I hope you will try a tarot reading with me today. It would be an honor to read for you. WaterQueene has been a user of Keen since 2004. Getting Tarot Readers advice from WaterQueene through www.keen.com is safe, secure and confidential.